Unesco is threatening to delay work on a string of high-profile schemes near London’s Waterloo Station because it is worried they will destroy views from the Palace of Westminster. In December, a team of inspectors visited the World Heritage Site, which also includes Westminster Abbey and St Margaret’s Church, and is drawing up a report for this summer’s meeting of the World Heritage Committee in St Petersburg. While Unesco has no statutory powers, it can ultimately remove World Heritage status and planning authorities will be anxious not to upset it. 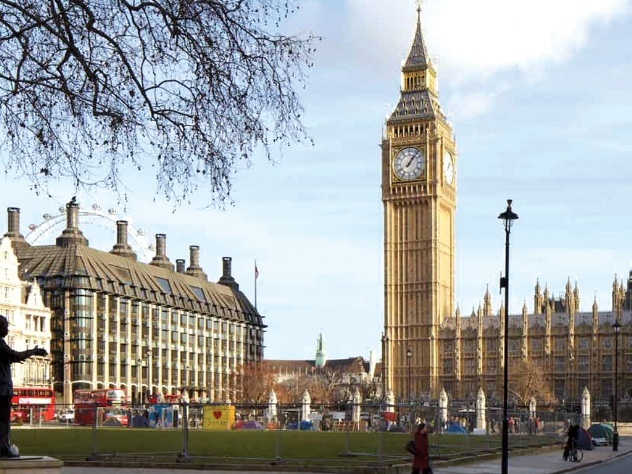 Its concerns centre on a view from Parliament Square running between Portcullis House and Big Ben to the other side of the river Thames where it says planned redevelopment work could spoil views of the World Heritage Site. Among the schemes in question is David Chipperfield’s Elizabeth House, which developer Chelsfield is expected to submit to Lambeth Council planners this spring. Also under threat are Squire & Partners’ Shell Centre and Hopkins’ proposed masterplan for Waterloo station — which is linked to the Elizabeth House scheme. All are part of a prominent redevelopment zone called the Waterloo Opportunity Area which was launched by the London mayor’s office in 2007. Unesco’s visit was prompted by a report made last summer which raised a number of concerns about the Palace of Westminster site. It said not enough had been done to protect views and, as a result, local planners “should refrain from approving any new development”. A Unesco spokesman defended its most recent visit and added that conservation sites were regularly reviewed to ensure safeguarding was adequate. As part of an attempt to appease Unesco, mayor Boris Johnson has unveiled proposals to protect the views between Portcullis House and Big Ben. A four-week consultation about this view ends next week, but in the consultation document architects and developers are told that any developments within the Waterloo Opportunity Area should be “sensitively designed and be of the highest architectural quality”. Last year Johnson gave his backing to developers working on plans close to London’s four World Heritage Sites, which also include the Tower of London, Kew Gardens and Maritime Greenwich. Chipperfield and Squire & Partners both declined to comment. Have developers met their Waterloo? Unesco is concerned that the view from Parliament Square across the Thames towards County Hall will be destroyed by new developments on the skyline. David Chipperfield’s planned 25-storey tower on this site will include seven floors of residential while a more classical nine-storey building will be more aligned with County Hall and the Shell Centre. The Chipperfield design replaced the “Three Sisters” by Allies & Morrison which was thrown out by the government following objections by English Heritage and Westminster Council. Hopkins is working on a masterplan for the redevelopment of the station, including new platforms for the former Eurostar terminal. This would be funded by commercial development on the site. Squire & Partners has been asked to help revamp the Shell Centre after developers Canary Wharf and Qatari Diar were asked to draw up proposals for the 2ha surrounding the 27-storey tower. These will include new offices, shops and homes, but planning permission could be as far as three years away. You should note that the gap between ‘big ben’ and Portcullis house is very narrow and careful massing of buildings should reduce any impact. If tall buildings were clustered along Waterloo Road and not towards the southern end of York road they would not be seen. It was the intrusion into this view that killed off the ‘three sisters’ project at appeal.